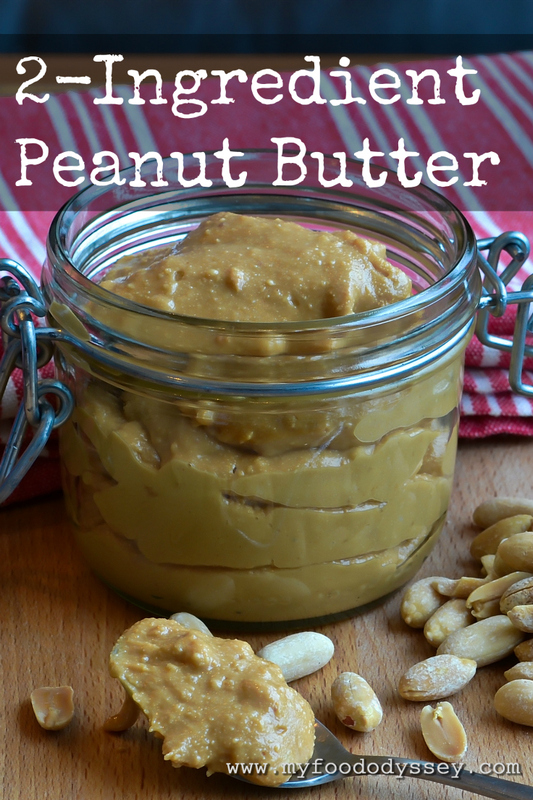 Homemade peanut butter is so simple to make and far superior to anything you’ll find in the supermarket. There are just two ingredients – peanuts and a pinch of salt. 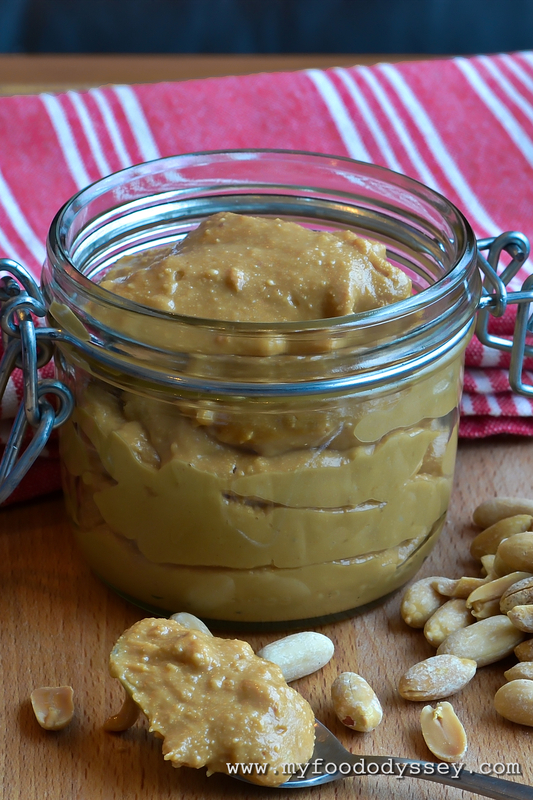 Once you’ve tried this recipe you’ll never buy processed peanut butter again. I’m never without a large jar of peanut butter in my cupboard. It’s so versatile – use it for school lunches, to thicken and flavour soups, sauces and curries or simply as a nutritious snack, spread generously on a slice of toasted sourdough bread. 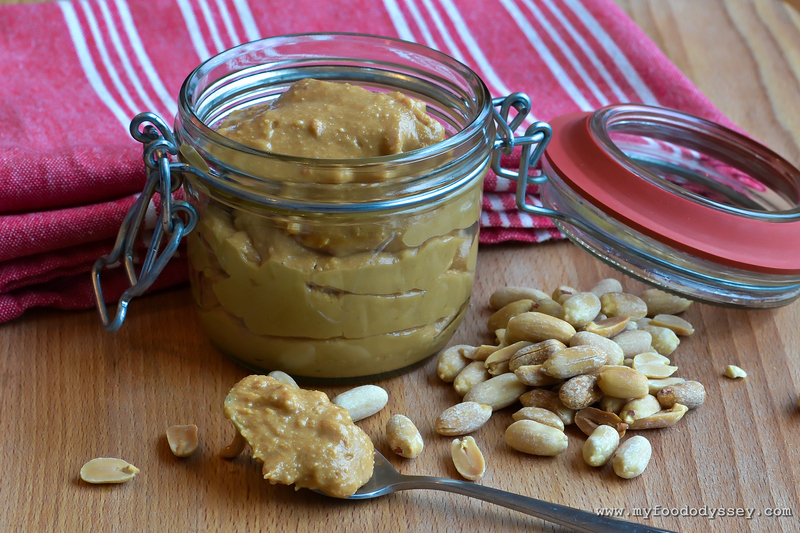 When you make it yourself you can control how toasted the peanuts are, how crunchy or smooth you want your peanut butter to be and how much salt you want to add. I really recommend buying ready-skinned peanuts for this. Skinning them yourself is very laborious and would put you off making the peanut butter, which is otherwise a very quick and simple process. I buy my peanuts ready-skinned in my local Asian market. They’re about €6 per kilo and, as they generally come vac-packed, they keep for ages, so stock up when you find them. Roasted nuts are not quite as nutritious as raw nuts, but they really do taste better. Peanuts are not true nuts (they’re a member of the legume family, like peas) and have quite a strong vegetable taste when raw. As such, I don’t recommend using fully raw peanuts for this recipe. However, you can reduce the roasting time to your own taste – the shorter the roasting time, the more nutritious the nuts will be. This quantity of peanuts yields about 2 medium jars of peanut butter. If you don’t think you’d use that amount, just reduce the quantity of peanuts. Pre-heat the oven to 160˚ C (320˚ F). Allow the nuts to cool, then transfer to a blender. If you want a crunchy peanut butter, hold back a handful of peanuts and add them at the end, blending for about 10-20 seconds to chop them into the paste. For a smooth peanut butter (best for soups), use all the peanuts together. Add the salt and switch on the blender. After about 1 minute, the peanuts will have a biscuit-crumb consistency. After about 2 minutes, the peanuts will start to form a thick paste. After about 3 minutes, the paste will become stickier. After about 4 minutes, the mixture should move smoothly around the bowl. After about 5 minutes, the mixture should become very smooth and runny. Blend the peanuts to your desired consistency. Bear in mind that it firms up a bit once it’s cooled (it heats up as it’s blending). If you have held back some peanuts to make the peanut butter crunchy, add them now and pulse for 10-20 seconds until the peanuts reach your desired chunk size. Pour the mixture into your pre-prepared jars. Tighten the lids fully while the peanut butter is still warm to seal the jar. Once cooled, keep in a cool location (fridge or cupboard). Once open, the peanut butter will keep well in the fridge for a number of weeks. Thank you for this recipe! I stumbled across your blog after watching your episode on house hunters. I kinda knew this peanut butter thing was so easy, but didn’t think too much about it until now–when after finding the recipe, I ran to the grocery store for peanuts almost immediately 🙂 Thank you for helping us all to take small steps to a healthier lifestyle! You’re welcome, Jenn! Just don’t over-toast the nuts and I’ll bet you’ll never go back to store-bought again. Also note that it keeps for ages, so don’t worry about making a big batch and keeping a jar or two in your pantry. Thanks for coming and finding us after watching the episode! It really is easy, Maura. Try it with the kids – they’ll love it!